We can’t help but agree. In our experience, failed inbound marketing campaigns often result from a combination of these mistakes. Unfortunately, you can’t merely write an ebook and place it on a landing page, hoping that users fill eventually find it and be enticed to fill out a form. To be truly successful in your first campaign attempt, you must use a number of marketing tools. Landing Pages: This is where your eBooks and value-oriented content offers live. Whenever you implement other marketing tools to promote the launch of your new campaign, you’ll want to make sure that you are directing traffic to a landing page, which you can use to capture user information. By directing traffic to a landing page your are able to increase conversions, rather than if you sent them to your homepage in the hope that they would eventually find your landing page. Email Marketing: Don’t forget: email can be used for more than just nurturing leads; it’s also a useful tool for telling your contacts about the launch of your new campaign. Call to Actions: Call to Actions are visually-oriented directives, telling a user what to do (e.g. download our new offer, schedule a consultation). Best practices suggest that it’s beneficial to place new CTA’s across your site promoting your new offer; otherwise, how is anybody going to know about it? Consider adding a call to action on your blog articles, on the top of your blog, and on your homepage. Blog Posts: Use carefully-crafted blog posts to answer your buyer persona’s most pressing questions and to promote a new related eBook. Always include a CTA linking to your eBook at the end of your blog post (the topics should be related). Don't hinder the success of your campaign by forgetting to incorporate essential marketing tools. Do your inbound marketing and sales departments work together and communicate in tandem? Do both marketing and sales representatives understand where their responsibilities lie? 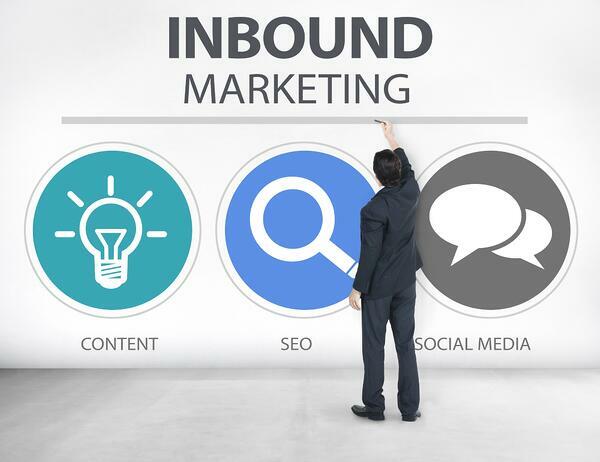 As modern buyers work to self-educate themselves with online research before purchasing a product or service, Inbound methodology prioritizes education through helpful content. This means that it’s the marketing team’s job to create educational content and to nurture leads to purchase-ready qualification before they have a conversation with sales. By the same merit, sales staff must be involved across all buying stages to create a trusted relationship with the lead, while helping (not pushing) to closure. Strategies that pit marketing and sales against each other and lack effective lead nurturing capabilities are setup to fail. We’ve saved the most important tip for last—don’t wait until the day before you begin your inbound marketing campaign to test individual components. After all, one little error can quickly sabotage your campaign’s chances for success, especially if it’s something like an incorrect URL ending up on your thank you page, sending your leads the wrong information. Don't just assume everything is set and ready to go. Consider double and triple checking every step of the campaign. You don't want to miss something simple that could have easily been fixed days if not weeks prior to the launch. When it comes to attracting, converting, analyzing, and integrating, there is nothing that is out of the reach of our capabilities. As a leading CT Inbound Marketing firm, ImageWorks LLC uses state of the art techniques and is focused on the success of your business. We work with you to improve your current marketing plan, overcome your challenges, achieve your goals, and meet deadlines. By creating content specifically designed to appeal to your dream customers, inbound attracts qualified prospects to your business and keeps them coming back for more.